Tom the Talking Thanksgiving Turkey (free) – The graphics are great, but Tom the Turkey will repeat whatever you say to him … you can also bonk him in the head with a wooden mallet. Kids think this is hilarious! Paint and Play: Yummy Thanksgiving (free) – Digitally color Thanksgiving pictures. Thanksgiving Trivia (free) – Challenge each other to answer questions about Thanksgiving… a great way to learn about the holiday. 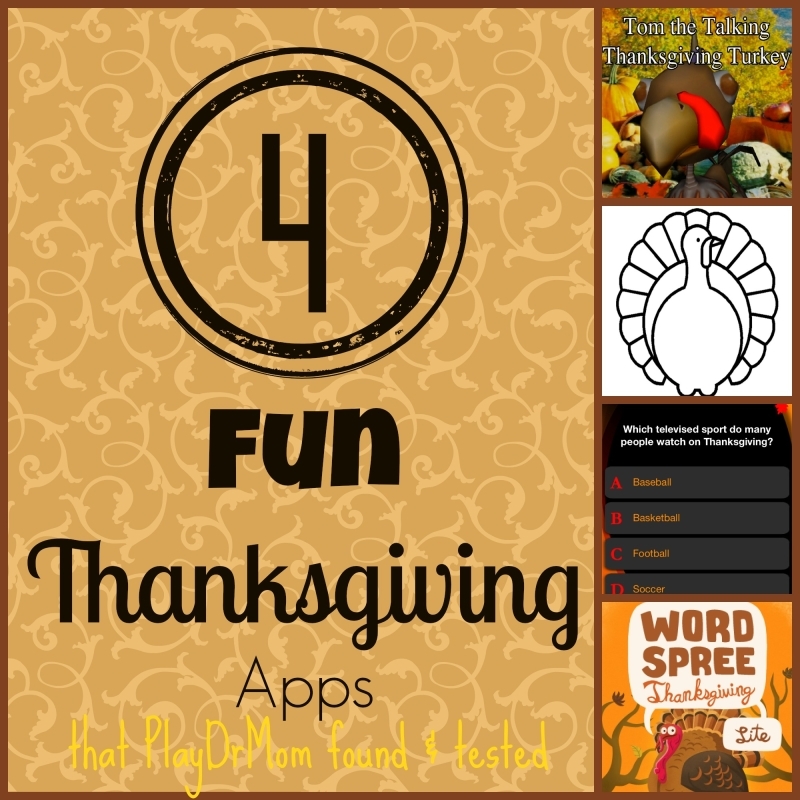 Word Spree Thanksgiving Lite (free) – A super fun “mad libs” type game with Thanksgiving related themes. This one was our favorite!